You wouldn't know it from listening to the talking heads on TV, but there are more ways to bank a profit than investing in massive blue-chip stocks. In fact, smaller companies regularly outperform these industry giants. You see, small-cap stocks often have the kind of future growth potential that allows them to outpace Wall Street's giants. The Russell 2000, which tracks many small-cap stocks, is up 6.67% over the past three months. For comparison, the S&P 500 is up just 1.75% over the same period. Our top two small-cap stocks are strong investments that have flown under Wall Street's radar and are setting savvy investors up for a great profit opportunity. And both have a Money Morning Stock VQScore™ of 4, indicating they have an excellent chance of producing strong gains for investors. Small-cap stocks are defined as shares of companies that have between a $300 million and $2 billion market cap. Because of their relatively small sizes, small-cap stocks have the potential for growth that far outpaces that of companies with larger market caps. Just look at their track records. Ibbotson Associates, an investment-consulting firm, reports that the average returns on small-cap stocks have bested those of large caps as far back as 1927. The central reason for this advantage is that these small, low-priced companies have incomplete financial data and limited analyst commentary. Without this information, it's incredibly difficult for Wall Street to accurately assess the value of a company and determine if it's selling below market value. As a result, attempting to sort through thousands of obscure companies to find the one stock that's about to soar 100% is one of the hardest ways to net a profit. Thankfully, plenty of mainstream companies have a plethora of financial information that will keep you from blindly speculating. And these companies have plenty of room to run higher. Best Small-Cap Stocks to Buy in June 2018, No. 2: Hostess Brands Inc.
Based in Kansas City, Mo., Hostess Brands Inc. (Nasdaq: TWNK) was founded in 1919 and is best known for global brand names that include Twinkies, Ho Hos, Ding Dongs, Dolly Madison, Zingers, Suzy Q, and Donettes. After declaring bankruptcy in 2011, the company has undergone a substantial turnaround. In recent years, Hostess has focused its energy on financial restructuring and production efficiency. The company's efforts are paying off. 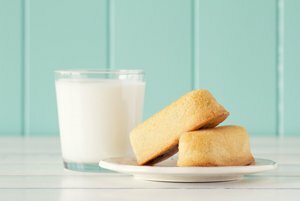 In just the past two years, Hostess Brands' revenue has jumped an average of 12.2% while beating earnings the past four quarters. However, Hostess still has room to run. The company's rough press over the last decade and limited stock performance history has likely kept the stock from realizing its true market value. Analysts have put a high price target of $20 on the company's stock – a 48% gain over the current price of $13.48.